The Flint and Denbigh Riding Club was founded in 1994 by a group of adults, who wanted to be able to compete, train and enjoy their riding alongside likeminded adults. A meeting was called in a pub, a committee was formed, and the club was born! The club has grown over the years, and now has an annual membership of 135 adult riders of all abilities. The club caters for everybody and the emphasis at events is on fairness and fun! There are weekly subsidised training sessions for flatwork/dressage, pole work and jumping. There is a monthly dressage competition held in Northop and an annual dressage league. During the summer months, additional events such as Xpress eventing, starter show jumping, grassroots rallies and camps are held, normally at Mostyn Farm Ride. These events have supported both novice and nervous horses and riders to gain great confidence. 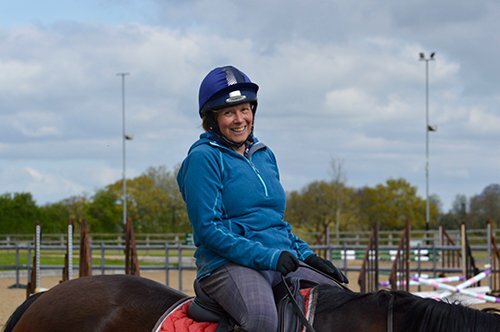 The club is proud to have highly experienced and professional instructors who take great pleasure from seeing riding club members flourish and gain in both skill and confidence. For more information on the club’s instructors, please visit the instructors page. As the name suggests, the club’s base is within Flintshire and Denbighshire though members come as far as Wrexham, Cheshire and the Wirral. For information on the venues we use please see our venues page. The club is affiliated to British Riding Clubs and sends teams to BRC Area events when possible.